Finally! And it's very nice. All very nice but I don't have a freakin record player. I'll enjoy looking at them and imagining what they sound like. Why have a gift that the majority of people can't even listen to. WTF ! Thank god for ebay. I just hope I can get enough to recoup my subs fee. It states that the songs will be available for download to subscribers I am assuming that includes the live versions from the tour. I'm not suggesting that I am overwhelmed with the subscriber gift. Just stating that you do not need a record player to listen to the music. That would have been short-sighted indeed. I saw that too. I suppose that is a consolation. But find it bizarre to offer a gift that majority have no use for. Why not have an exclusive live download of a whole concert for example. Although I am looking at frames for the covers so might get some benefit from it. A nice gift that makes an end to the numerous complaints "when will we receive our gift?". I will be happy with it. But personally I think a full live concert from the 2017 JT Tour would maybe have been a better option. And why not follow the example of Bruce Springsteen? 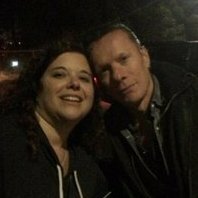 On his site you can order every show he has played. Gift must be redeemed from your profile. If you chose to receive the 2017 gift when you subscribed or renewed your subscription there are now three simple steps to take. 1. Visit the PROFILE page (http://www.u2.com/profile) and confirm or update your physical mailing address. 2. Click the REDEEM button, which will open a new tab, showing your order in the Shop. 3. Click PROCESS ORDER… and you’re done. 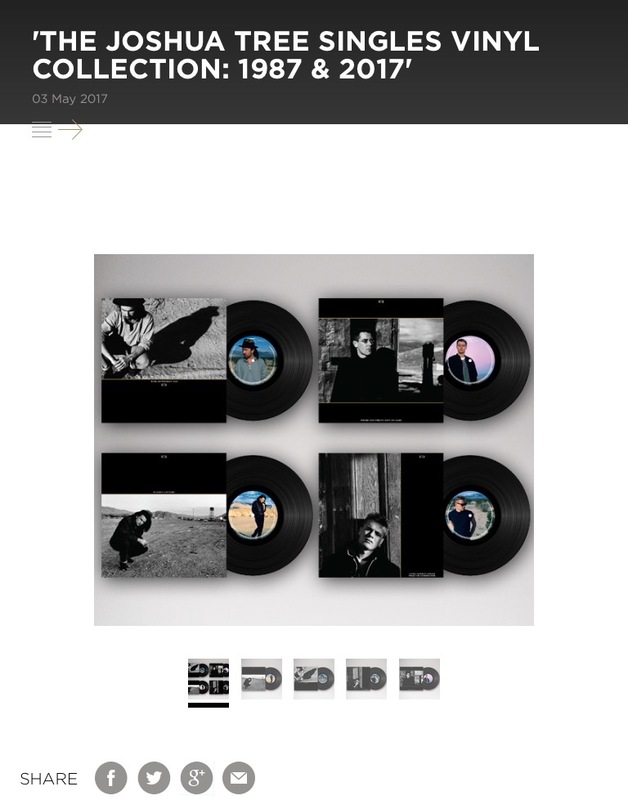 You’ll be sent a confirmation email and The Joshua Tree Singles Vinyl Collection: 1987 & 2017 will be on its way to you this Autumn. Thank you for the tip Max. Love idea of this gift! Looking forward to it! Has anyone else had a problem with this? I can't find the redeem button, and I did join the fan club this year. Help! Did the first step,nothing else happens. I still don't have the redeem button, and my account is active until January 2018 - I emailed customer service, hopefully they can help. I actually really want this gift! Only disappointment is no One Tree Hill being included. Sure, it was a single only in one region, but that's really no different to In God's Country which was a US-only release. Seems wrong to include one but not the other. I have a humble request for the powers that be. If you don't want to release CD versions of music releases, could you at least release LOSSLESS downloads and not just mp3's? Even WAV files would be infinitely preferred to mp3's. I would love these songs on CD; if you don't/won't release them that way, at least allow us the option to create CDs of the songs ourselves - lossless versions and/or WAV versions would allow us to do so. Those who want mp3's can easily convert lossless files and WAV files to mp3's - there are plenty of free programs/apps that let people do that. mp3's are compressed and lossy - PLEASE allow us to have access to the full-spectrum sound (or at least CD-quality versions) of the songs. It's a rather a good idea for a gift but I agree that it would have been even better to have RHMT including as well.